But some of these phases bring along some very difficult situations. 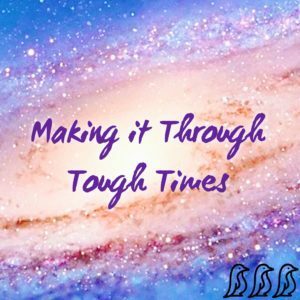 I’ve realized that everyone goes through hard times, but what’s different is how we handle these hurdles. Lately I feel like my attitude and sanity have been put to the test! After a very difficult two years for our family, I admit I’ve been sad and frustrated. For some reason, at least for me, everything seems to always happen at once. Top it off with some bumps in relationships, over committing myself for the sake of pleasing others, and all while trying to deal with some personal issues…. And now I feel like a hot mess, or maybe just a mess that can’t do any one thing right! But everyone goes through hard times. Whether they are physical, financial, emotional, or personal, (or a combination) we all have our struggles. One thing I’ve noticed is that often times those fighting the biggest battles, often complain the least. And if they are dealing with something that they do chose to share with others, they somehow do so in a very positive and impacting way. I have so much respect for these individuals! Not only are they dealing with something much bigger then I am, but they handle it all in a graceful way! However, I’m also learning that there is no competition when it comes to challenges. Even though I might not be fighting a battle as difficult as someone else, I still am allowed to get upset, frustrated, and have an off day. But what I’m not allowed to do, is let it take over my life. Sure in the moment things are tough, but the moment won’t last forever. And sure depending on what the outcome of the situation is, it may alter my life going forward. But life doesn’t stop, and eventually I need to find a way to cope with it and move forward (I know, much easier said then done). When I watch the news it puts things into perspective. The pictures of the refugees fleeing with nothing but the clothing on their backs is heartbreaking, and the terror attacks are unbelievable! What majority of others around the world deal with is truly awful! Even on my worst days I know I still have it better then most. I’ve realized that at any given time there will always be someone out there that has it better then me, AND there is always someone that has it worse. There will always be someone with more money, a prettier family, a better job, a nicer car, and a bigger house. But there is also someone without a job, car and/or house. Someone that lost a family member, or someone who is fighting for their own life. When we are faced with these struggles it often gives us an opportunity to “reset.” Often times, without even realizing it, we dial back to the basics. What we are left with is what truly counts. It forces us to shift our focus on to what actually matters most. Then, eventually, we find a way to move forward, and sometimes in a new way. Often we learn strengths that we never knew we even had. And it seems there is almost always a chance to learn a lesson, and an opportunity to turn a negative into a positive. So now I need to put on my big girl pants, learn some of life’s valuable lessons, and prove to myself what I’ve really got. Tomorrow is a new day and hopefully before I know it, I will be on to another one of Life’s Phases.